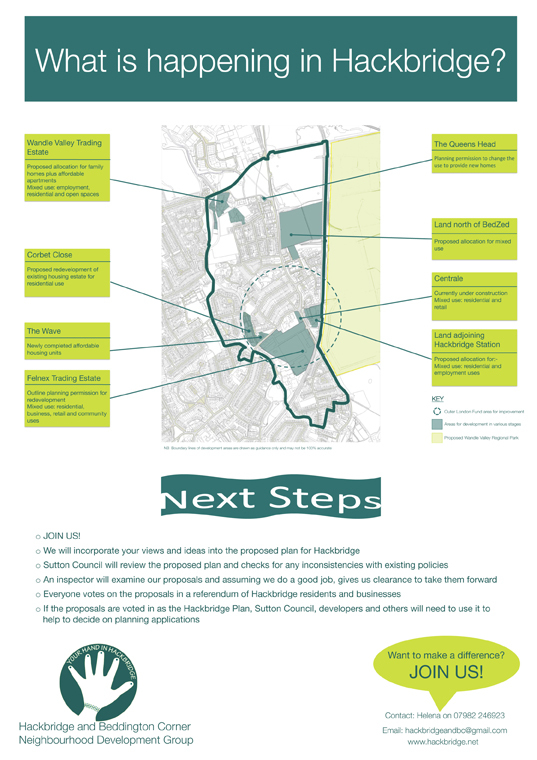 The NDG have been working on proposals towards producing a neighbourhood plan. As part of this, we have had to carry out public consultation. 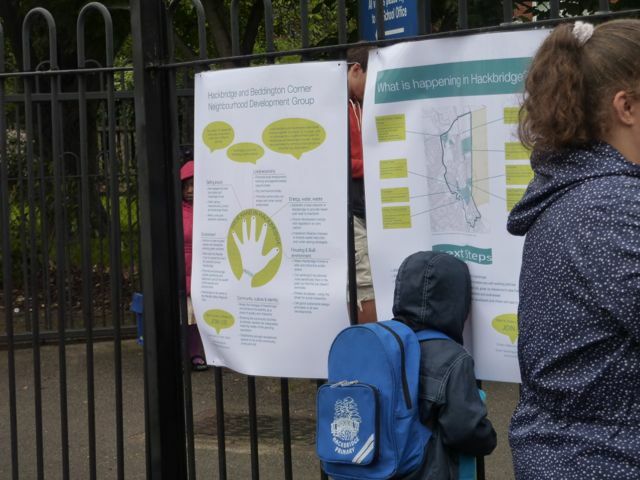 We have tried to capture as many residents as possible by having a couple of events where members of the NDG were able to answer and provide information to residents. To ensure we covered those who were not able to attend, we put consultation boards in key locations. Leaflets were distributed in children’s school bags at Culvers School and a notice in Hackbridge Primary School’s newsletter. Do you find it easy to get around Hackbridge? Should Hackbridge Corner be the hub of the community? Should we make more of the open spaces in the area? Do we have adequate housing, health and education facilities? 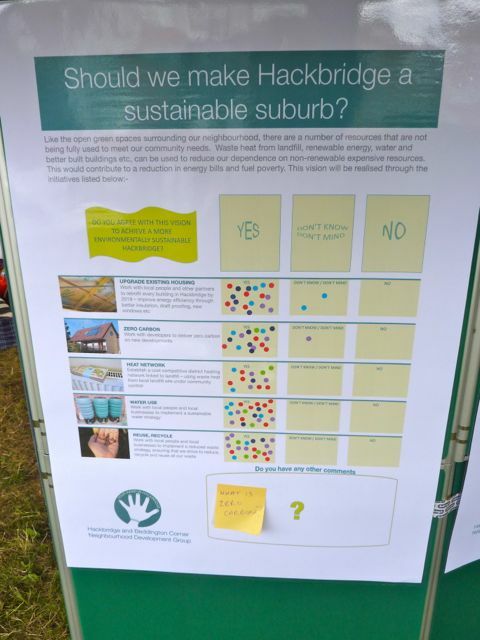 Should we make Hackbridge a sustainable suburb?